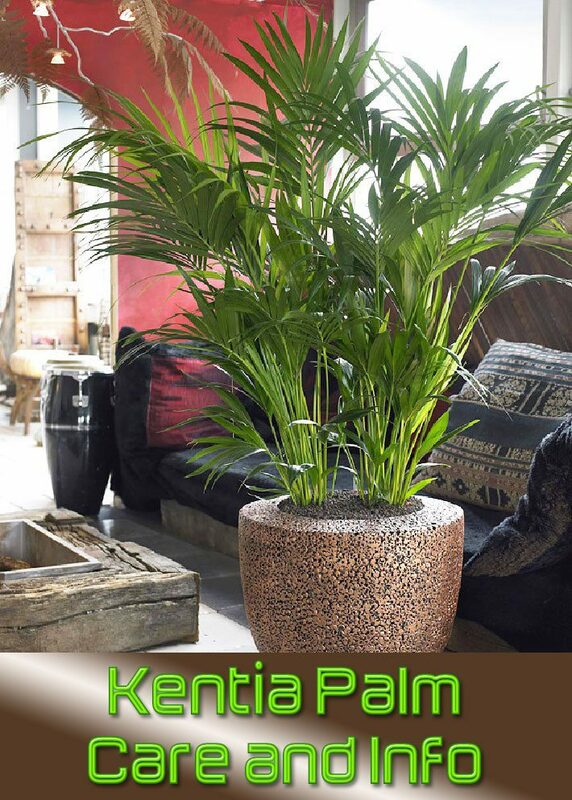 The Kentia palm is a fairly easy plant member from the Howea genus to take care of indoors that displays wide leaflets. Origin: Lord Howe Island (Australia – New South Wales State). Names: Kentia, paradise, thatch (common). Howea forsteriana (botanical/scientific). Max Growth (approx): Height 10ft. Poisonous for pets: Non-toxic to cats and dogs. The Kentia palm is native to Lord Howe Island (Australia) and cultivated there. The seeds are also sent to and cultivated in other countries including, the Hawaiian Islands. It is said to be a vulnerable species, according to the International Union for Conservation of Nature (IUCN) and can be found on their red list for it’s vulnerability. From the feather type palms group this one has wide fronds (leaves) which do not arch as much as the Belmoreana. These fronds look lush and can grow up to a foot long, making them in need of enough space where they are displayed. They look the part sitting within a conservatory, office or hallway and add an exotic look to any room. You will see with the care instructions below that these are as easy as plants can get for a grower to care for and maintain. They are forgiving plants that can take some neglect, although that’s not recommended. They are also slow growers that will not need re-potting each year, like many others. Temperature: Room temperatures of around 65°f / 16°c — 75°f / 24°c are ideal. The temperature should not become lower than 55°f / 12.7°c. 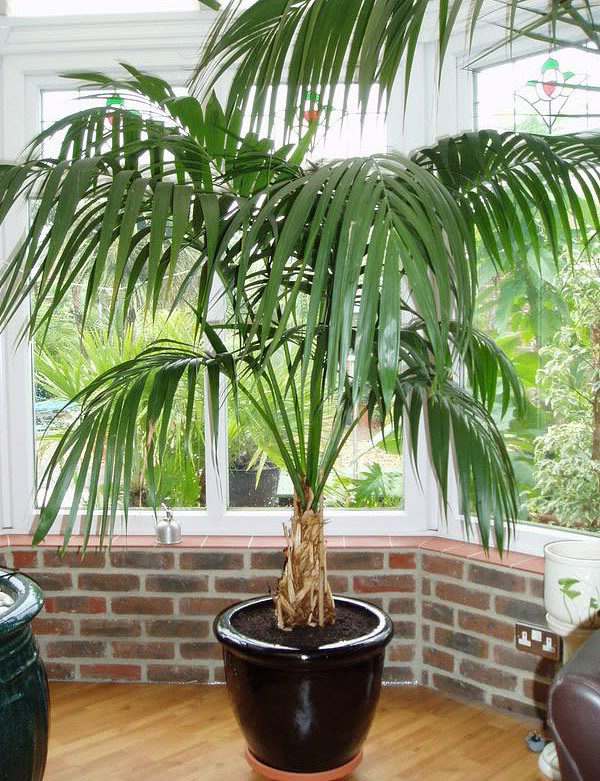 Light: Indirect sun light for many of the popular indoor palms is advisable and the Kentia particularly grows well and maintains it’s health in low light conditions. Watering: Having good drainage from the pot is important to prevent root rot. Checking the top soil for moisture (by touch) is the best way to see if they need water. If the top soil is dry in the summer–give him a drink, and in the winter I would advise you to water it less, and allow some dryness. Soil: A fast draining soil mix is best to use which is likely to be part sand for easier drainage. Re-Potting: Palms generally dislike being removed from a pot. The best practice is to re-pot only, when it has become pot bound and take good care of the roots whilst doing so. Humidity: They do survive well in quite humid conditions naturally, and you will please them with water misting. Propagation: These are Propagated by seed at 80°f / 26.6°c which is not appropriate for the average grower to propagate.